Tridion folders are used to store components and subfolders and are similar to directories (or folders on windows) on a file system. 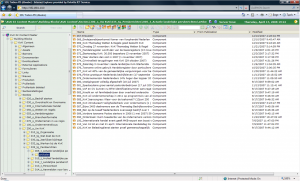 A folder can also contain metadata which can be used to describe the content of the folder. Permissions for different users or user groups can be set per folder. Great blog. I am new to Tridion and you are making it easy to understand. Have you written an article about “advanced navigation structure rendering”? Thanks for the kudos. I did write an article on navigation rendering: http://www.albertteboekhorst.com/tridion_how_to/sdl-tridion-sitemapnavigation-rendering-1s/, unfortunately I forgot to update this post. My colleagues and I have both the file and DB based navigation renderer up and running. The DB version is using SQL DB messaging for updating the navigation structure which makes navigation updates almost instantaneously. Your information on tridion is excellent. Especially I loved the idea of creating navigation xml from db. I have only few months of experience in tridion. Right now I am working on a creating a navigation xml for a sub site, I thought of implementing your idea, but can you provide me more information how we can do it effectively. Thanks for the kudos. The DB version of the navigation XML has, by now, been implemented by one of my colleagues. He has created a new table in the Tridion broker. In this table each child is linked to its parent. 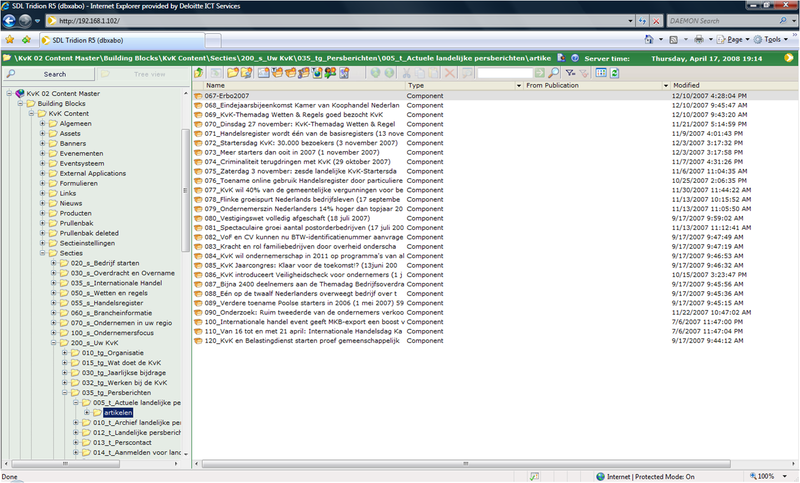 The table is filled from the Component_Presentations table by an insert and delete trigger(Tridion does not update. An ASP .NET class is responsible for building the navigation xml from the table. This class caches the xml and updates sub trees when it receives SQL messages on delete/insert messages from the fields in the navigation table.